We’d like to start by welcoming the 20,743 Critters from the wonderfully successful Critical Role Miniature Kickstarter to the Steamforged Games community! We couldn’t be happier to have you join us on this exciting adventure over the next few years as we endeavor to bring the absolutely amazing world of Exandria to life in new and exhilarating ways. As stated in the Kickstarter: It is just the beginning! With that in mind, we wanted to take a moment to give all of our new friends a little insight into who we are here at SFG and what you can expect on this journey. Founded in 2014 with the successful launch of Guild Ball, Steamforged Games has since grown to be one of the industry’s leaders. We’re passionate about delivering premium tabletop experiences and accessories, inspired by modern gaming philosophy, technology, and sharing our passion for the hobby with as many people as possible. It’s that passion that pushed us and drove us to develop the remarkable PVC plastics which will encompass the Critical Role Miniatures line. We thought long and hard about anything that may scare people away from trying new board and miniature games. 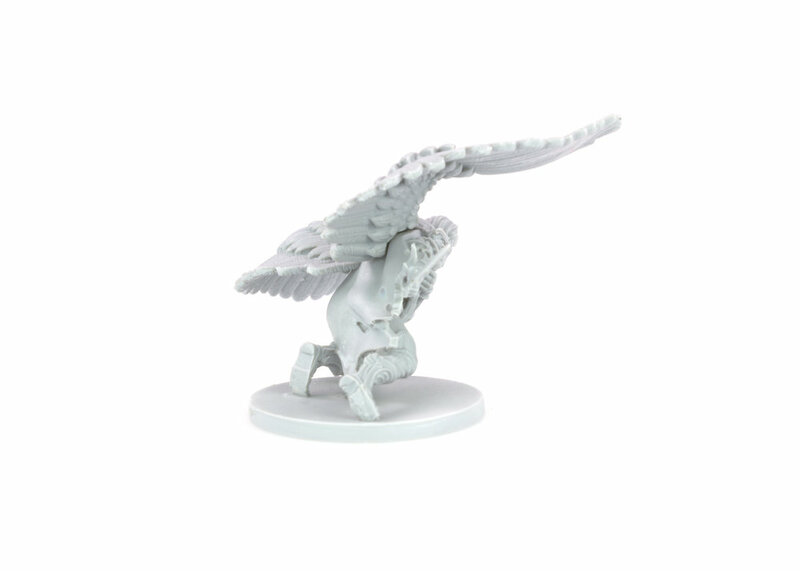 We took into consideration concerns such as difficulty assembling styrene plastic, metal, or resin miniatures. These issues ranged from concern over miniatures needing to be pinned to how to clean them. Other concerns were the overall quality of plastic board game pieces. By in large these games are built to be resilient to a younger player base. You want your pieces to have bend and give so that when they are simply thrown back in the box at the end of a game night session you won’t have to worry about brittle pieces of plastic being damaged. Kick Off with FREE Paint Set! But why are we telling you all this? Well, as part of our family we want to be open and honest with you about what you can expect from us. We will never stop pushing the boundaries of what we expect from ourselves and our materials. We will continue to refine our current methods while researching new and exciting technologies. The Critical Role Miniatures Kickstarter was incredible, and we could not be happier to bring Vox Machina and the Mighty Nein to life, but again they are just the beginning. The heart and core of the Critical Role Miniatures line will be fully assembled PVC miniatures that are ready to be enjoyed right out of the box. However, as we have done with Guild Ball and our other product lines, we will continue to explore every possible avenue to make sure we’re making the products our customers want. 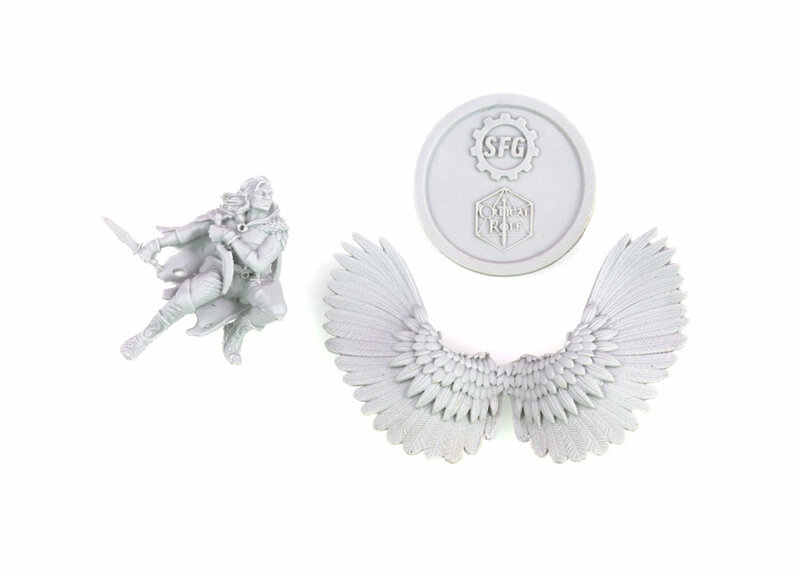 From enamel pins of our most popular captains and mascots, to our alternate chibi Guild Ball miniatures, to display quality statues and artist quality resin busts, we’re always on the look out to bring new and exciting things to the table. And this is where our “Vault” range comes in. 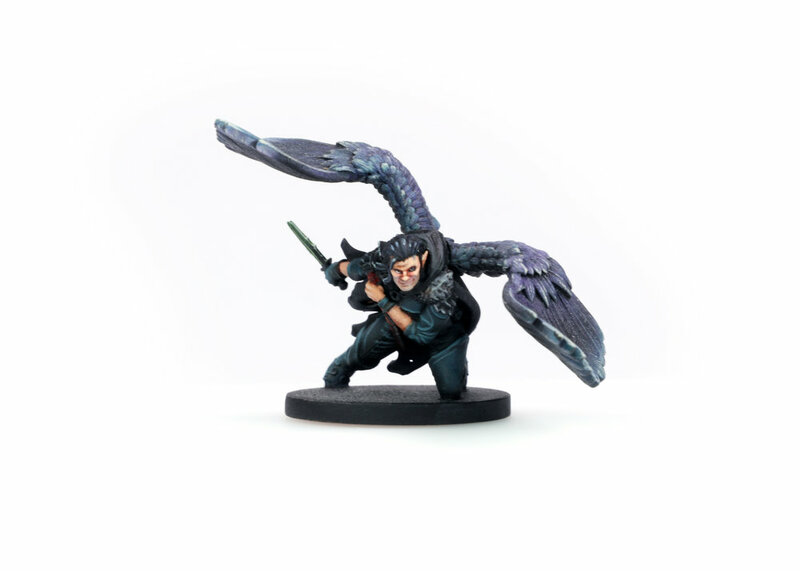 As we’re sure you’ve seen we have already introduced the first Critical Role miniature to our Vault collection: Winged Vax, releasing at Gen Con 2018. As we look out over the coming years and the many exciting releases to come we recognized very quickly that some high demand items would potentially have to wait years before they were available. We also have a substantial number of competition-level painters within our community who have very stringent material needs for their pieces. It’s for these reasons we created the vault a number of years ago. We wanted to make sure that everyone had a chance to get their hands on their favorite characters as quickly as possible. Astute readers will notice that our vault miniatures are produced in resin and not our normal PVC. This means they will require some simple cleaning and assembly work. It also means that we can produce these miniatures in much smaller quantities than their PVC counterparts as the tooling is much more forgiving in terms of order sizes. Finally, with resin we are able to offer short run alternate sculpts of characters in a fraction of the time. I’m sure you have a ton of questions and we will go ahead and attempt to answer some of them now. Q: If resin’s so great why aren’t you using it for the whole line? A: Resin is a wonderful material for small production runs (usually anything under 5,000 units) or anything with a very short turnaround time (it takes about 12 months to produce a PVC product but only about 3 months for resin). However, it also has some drawbacks. Primarily ease of approachability, some people are simply not comfortable using a knife and super glue, as well as production cost on anything over 5,000 units (like say 88,000 Pumats). Q: Will we see [insert character]? A: We have years’ worth of content planned out and are working side by side with the CR staff to make sure we’ll see everyone’s favorites. Q: Why didn’t you include the sculpt in the KS? A: The cost associated with production of resin versus plastic, as well as the approval and sculpting practices, are vastly different. 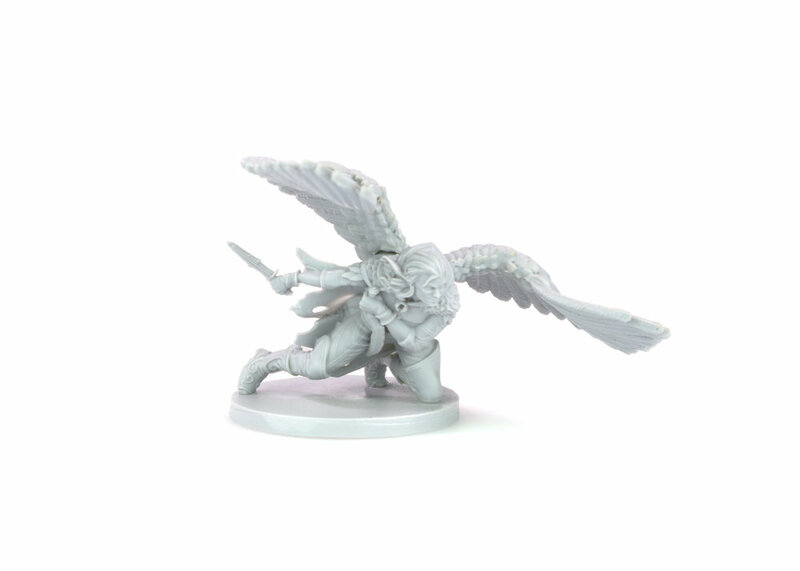 From the very beginning of the project, our winged Vax was planned as the first miniature for the vault line. Q: How come you can’t combine shipping for my KS pledge and my vault purchase? A: Our vault miniatures are assembled in house right in our office in Manchester, UK while our PVC products are produced at our factory overseas. Additionally, Vax will be ready for delivery in early August while the Critical Role KS miniatures will not be ready until March/April 2019. It’s simply not practical to combine the two orders for shipping. Q: How often will we see a new vault sculpt? A: New sculpts will join the vault as time permits. Q: How can I stay updated with news about future Critical Role miniature releases? Q: How can I get my very own Winged Vax?